Sugar Free Pork Bacon Slices are a best seller, try them today to find out why. After you fall in love with the taste, you will want to stock up while Sugar Free Pork Bacon Slices are available. There is no sweetener in US Wellness Meats’ Sugar Free Pork Bacon Slices. There is also no white sugar, brown sugar, honey powder, agave, turbinado sugar, MSG, nitrates, or nitrites. Sugar Free Pork Bacon Slices are Whole30 approved. Sugar Free Pork Bacon Slices are cut medium. Each Sugar Free Pork Bacon Slices package weighs approximately 1.5 pounds. I like bacon. A lot. And this is far and away the best bacon I've ever had. Rich flavor is perfect with eggs or on it's own. No nitrates/nitrites! No sugar! We cook this on cast iron pans in the oven and comes out perfect. We save off the fat to use for cooking later. Whole30 approved too! I love this bacon! At first I missed the sweet for normally cured bacon. But now, I don't want to live without it. So glad I can have this when we do the Whole30 diet. Too much fat, almost no meat. Although this bacon was quite tasty and a plus with no sugar, there was almost no meat in it. If I could guess, it was 85-90% fat. And it definitely DID NOT look like the photo on the website. I love this bacon! Great cooked on the stove or over a camp fire. I crumble it up and add it to salads or eat over a sweet potato. Yum! The BEST bacon EVER, no kidding! I made your simply pork and sea salt bacon last night for dinner. My husband is a huge fan of BLTs. Your bacon did not disappoint. In fact, it exceeded all expectation. Thank you for providing US the best of the best. We cooked up some of this bacon this morning, the grease literally overflowed the grease trap of the griddle. The taste was - well there was hardly any taste other than fat. My girlfriend is cooking some up to use as sprinkles in salad but three packages of this stuff makes a lot of sprinkles. Cooked 1lb in the oven over a wire rack and it is amazing. Little shrinkage, cooked evenly and the purest looking bacon fat I've ever seen. Looks like it had been clarified. I hope the other 2lbs I purchased are equally as good! We've ordered over 40# of this delicious bacon. That said, if I had to express a complaint, it would be that the bacon is so lean that I barely have enough drippings to fry our potatoes and eggs. We try to skim off a Tblsp or two of the drippings daily, to keep in the frig when we need bacon fat, but many times there just isn't enough fat on the bacon to do that. Difficult to understand how others could say the bacon is too fatty. Love that it has no sugar. It does look fatty I agree,however it tastes great and we save the fat for use in cooking. I will always buy this. Somehow I think it looks less fatty after it is cooked. I guess some fat cooks off, and it is clean bacon, so it is worth it. I ordered this bacon for the first time a couple months ago. It was so terrific I thought I should write a review but never got around to it. The other day I pulled some regular bacon out of the freezer-- the store brand I used to eat-- and decided to go ahead and use it up. What an amazing difference!!! It tasted so salty that I can't understand why I ever liked it. I had to get rid of it. I'm totally sold on clean Wellness bacon. Also, the fat crisps up so nicely I actually enjoy it. The bonus is that I've learned it's actually good for me. First of all, may I say that bacon is, as a rule, more fat than meat. If I wanted a lot of meat, I'd buy loin or chop. This bacon tastes exactly like it just came off my Uncle's farm in Indiana. He pastured his hogs as well. I had forgotten what bacon was supposed to smell, and taste like. I use the bacon fat to sauté green beans, and to add to pinto beans for flavor. Besides being so much better for me than store bought, antibiotic infested pork, it has genuine farm taste...yum yum. Again, thank you USWELLNESS for quality, and healthful products. You rock!!! Just cooked up my first package of the bacon - unbelievable! Cooked the whole package up at once on a heavy skillet and got about 14 fluid oz of bacon grease - YUM. I can't stop eating the stuff and I could have eaten the whole package at one sitting without a doubt. Threw the cooked bacon in the freezer and it makes a great quick snack on the Paleo diet. Fixing to buy in bulk next. Thanks for the great eats! This bacon is a toofer. You'll get bacon with your eggs, and you'll have bacon grease you can use in other recipes. Saute onions and potatoes in some bacon grease - it is heaven. However, it is important to cook the bacon correctly. Technically, you should think of it as rendering the fat rather than cooking. Use a low temperature and time (20-30 mins) for crispy bacon (my preference). If you like chewy bacon, then use a slightly higher temperature and less time. Also, be aware that the bacon will shrink. It will be about half the size. But it will be delicious. Enjoy! While we've loved everything else we've gotten from US Wellness Meats, this bacon is extremely fatty. There is almost no meat on any of the slices! We requested "lean bacon" on the special notes field, so I am very disappointed with what we received. We love this bacon. I bake it in the oven on a broiler pan to have bacon ready to eat anytime during the week. Then I save the bacon fat to cook with. I even use the bacon fat in my homemade mayo! I keep extra package in the freezer so we won't run out. Did that once, never again. I absolutely love this bacon. I love the thickness of the slices, the flavor, the ingredients, that the pigs are raised outdoors, everything! It's a shame that grocery stores don't carry bacon from hogs with outdoor access (which makes the fat rich in vitamin D) or even bacon that is cured with only salt. This bacon is proof that none of the flavorings frequently added to bacon are necessary, because this stuff tastes great and it's just pork and sea salt! Sugar free bacon - the best! Love this product. Will never go back. The grease sells itself, crystal clear. The flavor is wonderful and I'm confident in the Heritage farms humanitarian and compassionate practices . Seriously the best bacon ever. Very satisfied customer. My Dr. recommended this bacon because of diagnosing me with hypoglygemic rebound. This bacon has no nitrates, hormones, sugar, MSG's etc. It taste sooooo good!!! The slices are nice and thick, and after you prepare it, the slice are just right!! Also, U.S. Meats customer service is excellent. The meat always comes frozen, even when it is hot outside. I love this bacon. So much so that when it was difficult to get, I would stalk the website on the days it was supposed to restock and buy 5 at a time. The flavor is great and it cooks up nice and crispy. It's even great when reheating it. My favorite way to eat it is with sliced tomato and homemade mayo wrapped in a lettuce leaf. YUM! The first time I cooked this bacon, I was transported back to our family cabin in Big Bear in the 1960s, where Mom would cook bacon for breakfast. This was back when bacon (and food in general) didn't have all of the garbage and additives they have today. That's why I call it Flashback Bacon. This bacon tastes the way bacon should taste!! I must warn you that is is addictive. It's simply the best! We didn't like the taste of this bacon. We tried it several ways - plain with breakfast, with brussel sprouts and wrapped around dates. But the taste was never quite right. Overall, this is fantastic bacon. That it is never exactly the same from batch to batch is a good thing and then again, not so much a good thing. I love that it has no sugar. I love that it cooks up crispy and very tasty. But as someone who not only needs to avoid sugar, but excess salt, this is a tough one. Bacon is salty. But this stuff is often mildly salty and perfect (I count daily sodium). But sometimes, like the batch I cooked up today tastes at least 3x more salty than the last batch. 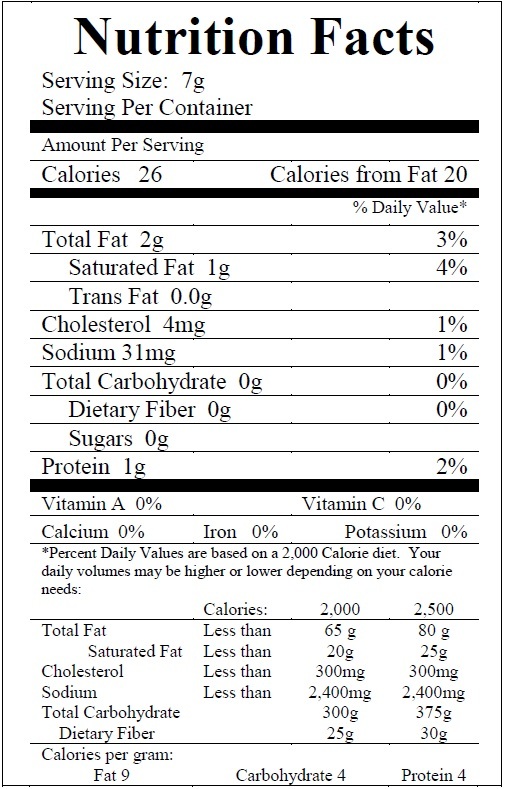 I am not sure how it can adhere to the nutritional labeling with that kind of difference, but hoping it is close. If I could have a wish fulfilled, it would be that you could offer a low sodium, no sugar pork bacon. I am guessing that more and more folks are watching sodium intake but don't want to miss out on a little bit of bacon in their life. I know. I could skip it. But I'd rather not. Thanks. We've tried other brands but come back to this every single time. This is the best stuff. I have a health condition that puts me on a very limited diet. One of the few safe foods is sugar-free bacon, and I have eaten a ton of it -- ordering about 20 packages at a time. At first, I was super impressed with the quality of this bacon. However, my last shipment, which was maybe 8 months ago, was nearly all fat. It just sits in my freezer. It's a pain to cook because of the fat content, and I would guess that each strip has about 10% meat. Not worth the time to cook. USWM- We are truly very sorry that you had a bad experience with our Sugar Free Pork Bacon Slices. Going forward we suggest using the special notes box and typing in "leanest cuts of meat" These special notes are seen by the customer service team as well as our pick and pack crew so we can ensure you get the best service and product possible. This is some of the best bacon I've ever had. It crisps nicely and has good flavor. I don't miss the sugar at all. I'm using it during my Whole30 but I might be addicted. bacon was very fatty almost no meat and rancid smelled bad when cooking could not eat it!! Guests for breakfast would not eat it had to take everyone out to eat breakfast!! USWM- We are truly very sorry that you had a bad experience with our Sugar Free Pork Bacon Slices. In the future we recommend using our special notes box and typing in there leanest cuts of bacon. This note is seen by our pick and pack crew so we can ensure we get the very best product selected for you. I always request the extra lean bacon here and have been 100% pleased with the outcome. You won't be able to go back to regular grocery store bacon after this. Only problem is that I can eat the whole package by myself in a few days! Reminds me of fresh bacon given to us by a farmer. Excellent flavor. Cooks up nicely. The bacon grease adds an extra flavor to steaks, vegetables, etc. if you save and use it. I buy in bulk and cut the packages in half before I freeze them. This is the first time I have tried the bacon and it was great! I was wondering how long it would keep in the fridge, or if when we get it we could thaw it and re-freeze? Some people complained about this bacon that it's almost all fat. I can't stand bacon that is almost all meat which I see in all stores and even some farms. That's not bacon then. Lean bacon is not bacon! Well, I guess you call lean pork meat "bacon" here because that is what you converted many years ago because fat became not healthy. It's perfect: fatty (makes it so supper crisp, it melts in your mouth), just right smoky taste, not too salty and no sugar. I get all that fat rendered out of it as well which I drain of and use in my cooking. Oh, fried potatoes in bacon fat...so good! Plantains do fry very well in bacon fat, by the way. I order for bunch of people and try to pick the fattest bacon I can find leaving leaner packs for others. I just wish you sell whole raw pork belly, so I could cure it myself to be Ukrainian type of bacon. I purchased 7 packages in order to meet the weight and spend requirement. Two of the packages were all fat. The packages that weren't all fat tasted great. Seems better quality control is in order in the packaging department. USWM- We are truly very sorry that you received some packages that were not up to your standard. We advise in the future utilizing that special notes box in your cart before check out and type something like leanest cuts of bacon and that issue will not happen in the future going forward. Fat is where it's at! This bacon is the bomb! It is so delicious and it's great that it comes from good sources and only has 2 ingredients. So rare! And bacon is supposed to be fatty. If you want a lean bacon, may I suggest turkey bacon? I read with interest all the reviews with some loving it and others saying it is too fatty, because I guess it must be in "the eye of the beholder"! I love this bacon -- it cooks up crispy, is delicious and made without sugar; my husband says it's too fatty and he gives some of his at breakfast to the dog. I'm like how can you do that!! It is much too good to give to the dog LOL! Anyway, just goes to show that two members of the same family have a different perception of the same product. Anyway, I guess next time I'll just ask for a leaner cut so that hopefully he will like it as much as I do I'm wondering though if his judgement is off because we use to get honey cured bacon from our meat co-op, and he is just comparing it to that. I will admit that the first time I tried this bacon, I didn't think it had the flavor of the former, but now I LOVE it!! (gave it four stars instead of five to account for hubby's reaction). This was the best bacon ever, cooked it in my Cast Iron skillet, my fam loved it, it was nice and lean as I requested. I'm not a meat person but this sure was good! This was the first time trying the Bacon and was EXCELLENT!! I fried mine with onions and added to baked sweet potatoes, so amazing!!! Keep up the great work!! Ready to order more this weekend! While yes this bacon was fattier than I generally like, it was delicious! This was my first order so I only got one package, and now it's gone. Like the title says, this makes me sad. I will definitely order again. It's cut thick and there was like 28 slices in my package. USWM- If you like the bacon, but like leaner cuts of bacon please just request leaner cuts in the special notes box. We hope this helps! My wife and I just didn't like the taste. I tried cooking it several different ways and incorporated it into different types of food but the taste was still there. I've enjoyed all other products from US Wellness just didn't care for this one. **From USWM** We're very sorry for your disappointment. Our Sugar Free Pork Bacon Slices is one of our most popular products but we understand the Bacon just simply did not meet your preference. We've applied a store credit for the bacon you purchased but were unable to consume and enjoy. Really really wanted to love it. I am very sad I am about to throw out four packs of this bacon. We tried it four times. Husband and I did not like the flavor at all. I felt it had on off/rancid flavor. I know changing your palate to sugar free takes a while but we have had other sf bacon without problems. We do love all the other meats we have purchased from Wellness. USWM- Thank you for your feedback on our product! We are truly very sorry to hear that you had a bad experience with our Sugar Free Pork Bacon Slices. We have not heard similar complaints on the bacon. This is usually a crowd favorite and we often sell completely out of this product. Again, we are truly very sorry for any inconvenience this may have caused you and your family. We've ordered this bacon on many, many occasions and when it's a good batch it's SO good. The flavor and texture are excellent. Really, the best bacon I've ever eaten. Unfortunately, we don't always receive a good batch. For example, the last package that I defrosted over the weekend was basically just pure fat. I took some photos, but unfortunately I cannot include them in this review, but by looking at the slices, it appears that the composition is easily 95% fat. Thats great if you're wanting to stock up on bacon grease! Not so great when you would like some actual meat with your eggs. Unfortunately, at nearly $20 per package, it may not be worth the risk to order these anymore. Super bummed. USWM- Thank you for taking the time to leave a review on our Sugar Free Pork Bacon Slices. As I'm sure you know each animal is different which in return can make each cut different. When you go to the grocery store and you look at the bacon you are going to pick the cut that is most appealing to you and your family. Not every package of bacon there is going to be the same either. As well as someone is blindly shopping for you when they are picking your order. As I'm sure you have noticed the special notes box on your order when you are checking out. This is to help our pick and pack crew to get the very best products for you and your family. If you prefer leaner cuts of bacon simply type it in the special notes box. This box can be used for any of our products if there is something specific you prefer. Some of our customers prefer fattier bacon. I know that isn't for everyone, but we can't get the perfect cut in the box if you don't let us know what's best for you. We hope this helps! I really wanted to like this. I have cut sugar from most areas of my diet, but I guess bacon won't be one of them. This didn't taste like bacon to me. It tastes more like a plain piece of meat, which I guess (without the sugar), maybe it is. USWM - Thank you for taking the time to review our product! We are truly very sorry for the disappointment. We have not experienced any similar complaints as this seems to be a crowd favorite! We realize that our products will not always be for everyone. We greatly appreciate all feedback, good and bad as it is what allows us to grow as a company and become better for our customers. Some would prefer much more meat to fat, but as someone who grew up on this style of bacon, this is a fantastic product. Also, as someone who incorporates as many healthy fats in my diet as possible, I get it with this bacon. The other added benefit, is it renders a generous about of bacon grease which I save and use to cook other foodstuffs. I thought I had left a review but I guess I didn't so here goes. I love this bacon. It reminds me of the bacon I ate when I was a young child. And as far as the bacon having too much fat? BRING IT ON! :) If I want meat I'll order a chop, heh. PLEASE don't change the flavor of this bacon. It's perfect, which is why we always buy our sugar free bacon right here. The bacon grease tastes great with our eggs too. Can't believe how good this bacon is! I don't usually buy bacon, but, decided to get this. I cooked this in the oven in a large pan. My husband and I had some for dinner and I saved the rest for other meals. I saved all the bacon fat for using in other dishes. I am almost embarrassed to say I kept snacking on the bacon slices the next day from the fridge. I couldn't stop until they were all gone! I guess I need to partially thaw the next package and divide it and, then, put part of it back in the freezer! What a great product! Would appreciate smaller packages, though. When I was a little girl, my grandparents butchered hogs every Fall, and put up hams and bacon in a little smokehouse on their property. I haven't tasted bacon like that UNTIL I bought some of this bacon! Perfectly smoky, salty, and cooks up crispy but tender. It's a good thing these are 1 1/2 lb packages, or my husband and I would be having some serious disagreements on who gets how much! Was a little skeptical at first because of the cost, but this bacon rocks. If you don't like fatty bacon, this product is probably not for you as I would say it's 85-90+% fat. It shrinks up quite a bit after cooking. But after saying all that, it's some of the. Eat bacon I've ever had! And the grease is great for cooking! This bacon is truly delicious!! Reminds of the bacon I ate as a kid from our own pigs. I will order again. I received this bacon today and cooked up 5 slices. It was way too salty!!! So much so, that I had to drink plenty of water after each bite. I'm not sure if I just got a bad batch, but I won't be ordering this again, and I likely won't cook up the rest of it. For reference, when I have store bought bacon, I don't think twice about the salt content, but the salt in this was just through the roof! This Bacon is very, very good. I buy it every time. Best sugar free bacon out there! I bought this bacon 3 years ago during my first Whole30. I love it and keep a supple on hand in the freezer. My goodness, I don't think bacon can get any better than this. When it comes to fine cuisine, I'm discriminating. And this is not only the best bacon I've ever tasted, but also one of the yummiest foods on the planet. I'd live on this stuff if a well-rounded diet wasn't important. The bacon arrived about nine days ago. Since then, I've had it with liver and onions, and in potato soup, and with fried eggs, and just as a snack. Yes, all that in 9 days, because this bacon rocks. Next time I will get more than one package as a way to help flesh out the minimum order. The first half of the package was great! Lean and awesome taste in regular size bacon slices. The second half of the package was good, however, the slices when cooked were shoe lace size. Hmm... I'm trying it again to see if this is the case on all packs. I don't really like bacon. Well, I thought I didn't, until I ate this bacon. I don't know how anyone couldn't like it. It's absolutely delicious and tastes like bacon SHOULD, fat and all. On top of being the best bacon I've ever had, it's sugar free, so I didn't get that nasty crash/headache two hours after eating it as I do with any other bacon. My husband and sister (bacon lovers) were hooked as well. I am continually impressed with US Wellness Meats and the products they provide, and the outstanding customer service they deliver. So glad I can have bacon without sugar that tastes so yummy! I ordered this as I have been trying to follow the Whole 30 program which calls for no added sugar. Admittedly, my expectations were on the low side. I'm accustomed to ordering food for diet programs and making the investment only to discover that I didn't care for it. This blew me away! The bacon is meaty and crispy and literally the best bacon I've had. I'm so glad I ordered 2 packages. I can't wait to try the sausages (no added sugar) that I also ordered. Thank you US Wellness Meats for providing clean, healthy, and responsibly and compassionately raised products!!!! Regular favorite, but last order had little fat! I get 3 pkgs. every order because it's our most favorite bacon. Only got 2 last time since we also tried the side bacon (DIY), which was practically all fat-too much fat, like pork rinds with hard meat bits after cooking. These last 2 packages of sugar free pork bacon were very disappointing as the fat is where the melt-in-your-mouth flavor comes from, and we couldn't even eat it. Will take the risk of ordering more, though, in hopes we get the higher fat bacon again. Will still give Excellent review, fingers crossed. I am so glad to have found a bacon with no sugar. Don't really understand the bad reviews, this bacon far surpassed my expectations. If you are worried about the fat, just be sure to bake it in a rimmed, foil lined baking sheet with a rack on top. All the fat will drop to the bottom, and you'll get nice crunchy bacon (depending on how long you cook it... it's very thick and I think I had it in there for 25-30 minutes at 400, but I like my bacon crunchy). This bacon has a good flavor, but it wasn't thick enough for me and there was a good amount of shrinkage. To be fair, I'm used to eating thick cut, long bacon. This bacon looked as though it was cut in half. By the time it finished cooking, it was extremely small pieces! While I like the way it taste, I don't like the thinness of it. I may order one more time and make a note for a leaner cut. Hard to take a chance when the price has just gone up almost $3 in the past 2 weeks.not sure it's worth the money. I was disappointed with the bacon. 90% fat. I will not buy the bacon again. I am so excited to have gotten this bacon! It feels like it has the same amount of fat that store-bought bacon has, but it tastes so much better! And I am saving all the rendered grease for cooking! We love that this bacon has no sugar or nitrates yet still has a very good flavor. The only thing that would make it better was if it was wood smoked as well. This is always on our order! This bacon not only tastes great, but since it has no sugar, it cooks very evenly without burnt edges. Just baked a batch for breakfast, and EVERY piece came out perfectly crispy and not a hint of buning. I searched months and months for a sugar-free, organic bacon (I know this isn’t certified organic, but the farms follow organic practices) before discovering US Wellness Meats. I had settled on the Applegate Organic, but I’m sure the 0 carbs listed is rounded down, and I found their bacon very inconsistent. So I was elated to discover this bacon. The shape and sizes of the slices of bacon aren’t all the same, but the bacon is consistently tasty and always cooks up very nicely. It’s cut thinly enough that I can always get nice, crisp bacon without having it get too hard (my problem with thick-sliced bacon). The flavor is good, and I have no guilt eating this bacon. This bacon also produces way more grease than any other bacon I’ve tried, so I never have to worry about running out of grease (I save it and cook with it and add it to a lot of my dishes). Been ordering this for years. Once you eat this, nothing else tastes right. I eat paleo and low carb and i cannot get enough. The bacon grease is so clean and clear i save it all for cooking. We eat all kinds of meat cuts and the whole family loves bacon, but I couldn't get anyone to eat this. It smelled weird. Maybe it was rancid? It's confusing as there are lots of positive reviews for this, so I figure something went wrong with our package, sadly. We have our own smoker and love smoked meats, so I expected a treat (that I didn't have to make myself, sometimes we smoke our own pork belly). Now I am kind of spooked about getting new products. The liverwurst is our favorite. This bacon is just like my grandfather's bacon from the 1950s. We had a farm and granddaddy raised hogs to be butchered in November when the frost was on the ground. I've never had any as good as his until now. Will definitely order again and recommend to others. The prices are good for what you get. Just tried for the first time and immediately fell in love with it and ordered 3 more. My package was very meaty hardly any fat. I love the way this bacon tastes. It crisps up to a nice golden brown the way I like it. I have tried other similar brands and nothing compares to this one in my opinion. We love this bacon!! We feel so good when eating it knowing it has come from pigs that are treated humanely. Also, the flavor is excellent. My husband eats a pound 2x/month!! Not overly salty, good texture. Will buy more for sure. I have always been very pleased with all of my purchases from US Wellness. I purchased 2 packages of bacon and it’s mostly fat. I’ve never had bacon this fatty before. I won’t be purchasing this again. Too delicate and and bland. I have loved everything I have ordered from US Wellness so far (steaks, liverwurst and beef sticks) except for this product. I found the bacon to be incredibly delicate,so much so that the slices shred apart when attempting to separate them from one another and i also found the flavor to be completely bland, just the slightest hint of smoke and salt, barely enough to notice. I will keep ordering other items but I will be searching other places for sugar free bacon. This bacon is pretty good. At roughly 100 calories a slice, I'm thinking there are definitely less expensive lower calorie bacon brands on the market. However, for the quality and delicious taste, this is definitely worth the money. I'm probably not going to buy bacon from anywhere else. Yo get a good amount of bacon for the price, so definitely a good value. We tried to like this bacon, but we found the flavor to be bland and just not pleasant. We will continue to order other products, but will look elsewhere for our sugar free bacon. *From USWM: Thank you for your honest feedback - we think you've truly experienced an anomaly. Our Sugar Free Pork Bacon Slices are our all-time No. 1 Best Seller - your disappointment saddens us, we've returned a credit to you. These are pretty expensive so I was hoping for a good fat to meat ratio. I love fat but these have no meat... Sadly I don't know if it's standard or a bad batch. From USWM: Thank you for your feedback. Our Sugar Free Pork Bacon Slices have a long history of being a #1 Best Seller! Bacon is inherently a fatty product and we're very sorry for your disappointment! Please feel welcome to request the leanest packages of bacon available when placing future orders & rest assured our team will make every attempt to more closely meet your expectations. A credit for your most recent bacon purchase has been returned to you. Excellent taste, thickness. I really like the fact that it is also sugar free! This bacon is nice and thick and tastes delicious. I cook it in a big batch in the oven and it comes out perfectly every time.